Howell-based Cleary University has announced that current president and CEO Jayson Boyers, Ed.D., has been given a five-year contract extension. Appointed in 2015, he serves as the universities 10th president. Cleary opened the Detroit Education Center in Detroit’s North End neighborhood at the Considine Little Rock Family Center, as well as launched two major developments on its Livingston campus during Boyers time at the institution. 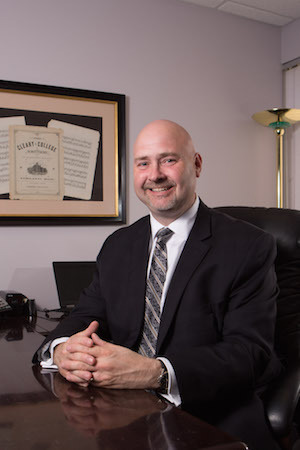 Before coming to Cleary, Boyers was the vice president and managing director of Champlain College’s (VT) Division of Continuing Professional Studies (National Online Division). Here he created a new business model and implemented appropriate procedures across finance, sales, IT, and academics to support a B2B development environment. Through his development of an online, higher education ecommerce model, he expanded the division’s footprint on a national level. Cleary University was founded in 1883 is an independent, not-for-profit, multi-site, Michigan-based, specialized business university, providing practical, project-based education enabling an immediate alumni contribution to employers, families, and communities. The University’s mission is to enrich students’ lives through the knowledge, skills, and credentials that advance careers.